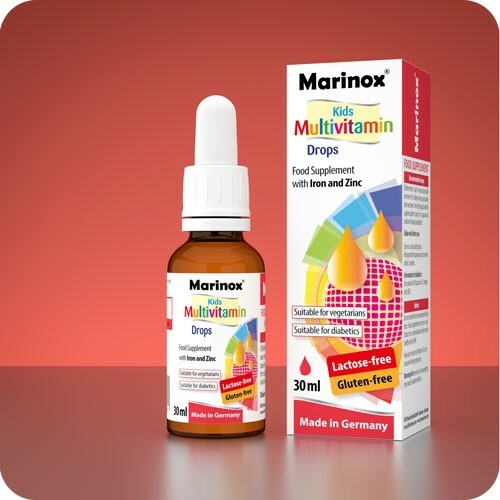 The fruity and Mango tasting Marinox® Omega-3 Juice for Kids contains a balanced and age-appropriate combination of the vitamins A, D, E, K with a premium grade of sea fish oil, which is obtained from sustainable fishery. 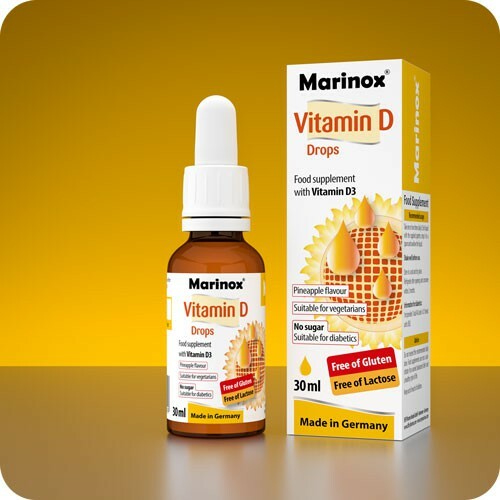 Vitamin D is needed for normal growth and development of bone in children and contributes to normal function of the immune system. Vitamin K contributes to maintenance of normal bones. Vitamin E contributes to protect cells from oxidative stress. 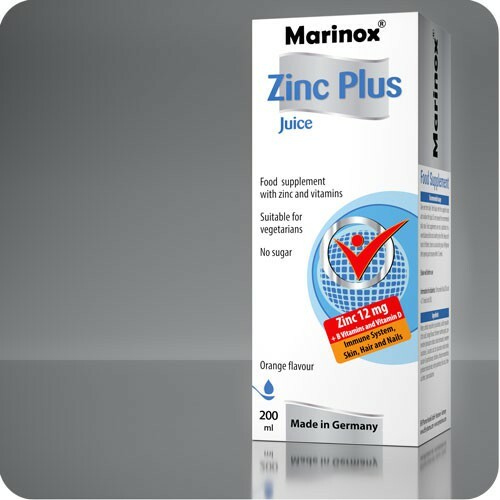 DHA contributes to maintenance of the normal brain function and together with vitamin A to the maintenance of normal vision*. EPA and DHA contribute to normal heart function**. 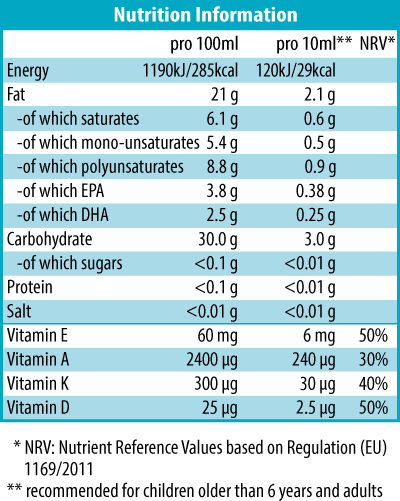 Sea fish oil (21%), xylitol, glycerol, flavour, thickener (xanthan gum, guar gum), acidifier (citric acid), emulsifier (polysorbate), preservative (potassium sorbate, sodium benzoate), antioxidant (extract of rosemary), sweetener (sucralose), DL-alpha-tocopheryl acetate, retinyl palmitate, menaquinone, cholecalciferol. One serving size (10ml) provides 120kJ/29kcal and <0.2 bread units (BU). 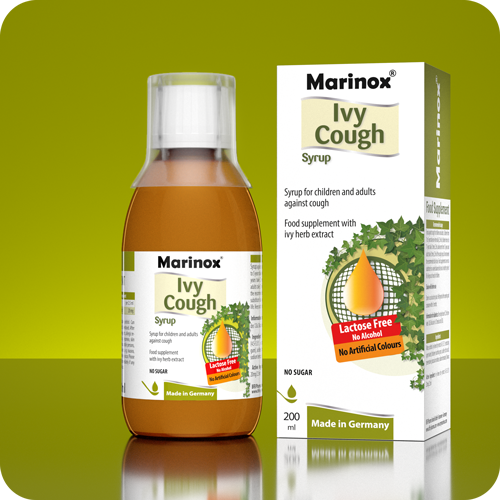 125 ml bottle with measur Cup.